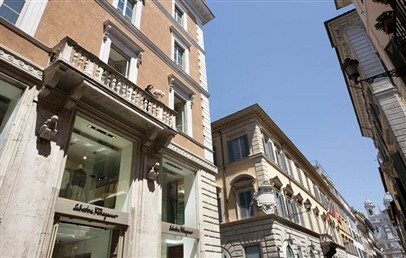 Settled in the famous and luxury shopping street Via dei Condotti in Rome, in the upper floors of the Ferragamo store, the Portrait Suites in Rome is surrounded by the trendiest Italian fashion designer boutiques in the kind setting of the old town. The Spanish Steps is very close to the Hotel, while a great number of cultural, artistic and historical highlights Rome has to offer are within walking distance. 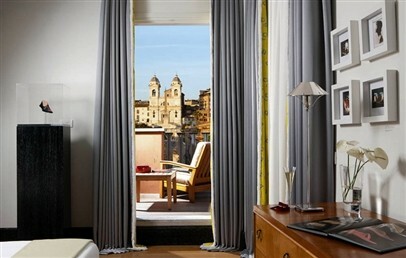 The Portrait Suites is easily reachable by car from Fiumicino Airport Leonardo da Vinci as well from Florence and Naples. The Portrait Suites in Rome is part of the Lungarno Collection which guarantees high quality standards, design furniture and amazing locations in Italy. Designed and furnished by the Florentine architect Michele Bönan, the Portrait Suites is a fascinating mix of the 50’s and Salvatore Ferragamo style. It is spread over the upper floors of an elegant building and consists of 14 suites and studios and a panoramic terrace with Trinità del Monti view, where are served the breakfasts, lunches and dinners. 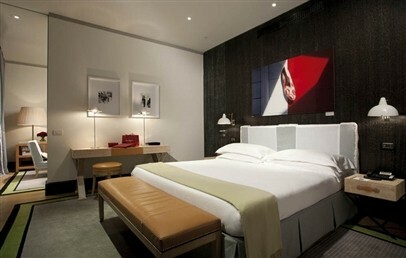 The Hotel provides for its guests free Wi-Fi and the Tuscan Soul complimentary toiletries by Salvatore Ferragamo. The Concierge is at your disposal for personalized assistance, information about restaurants, cooking classes, art itineraries, shopping and tours to discover Rome secrets. 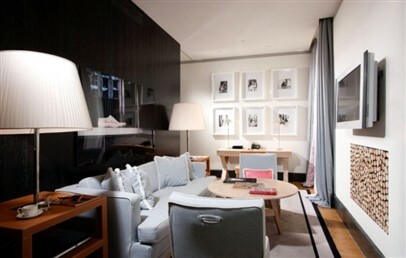 Refined studio located above the Ferragamo Boutique. 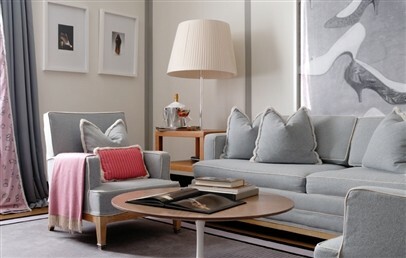 It is characterized by finest tones of pink and grey and inspired by fashion and movies of the 50s. The Studio consists of a double or twin bedroom and a furnished kitchen area. The marble en-suite bathroom provides the Tuscan Soul bath amenities by Salvatore Ferragamo. Spacious and elegant studio characterized by haute couture materials, linen and handmade leather finishes, shades of grey and oriental wood. The Studio consists of a double or twin bedroom and a furnished kitchen area. The marble en-suite bathroom provides the Tuscan Soul bath amenities by Salvatore Ferragamo. 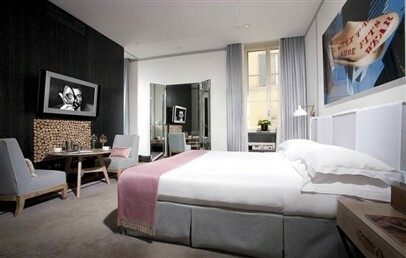 Large and elegant suite which furniture is inspired by the atmosphere of Via Condotti and the style of the 50’s. 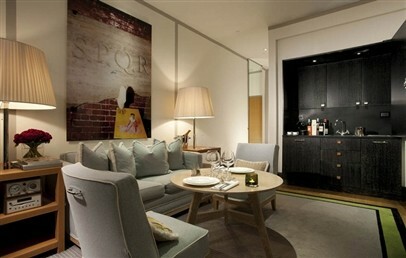 It consists of bed room with walk-in closet, a separated living room and kitchen area. The marble en-suite bathroom provides the Tuscan Soul bath amenities by Salvatore Ferragamo. Exclusive penthouse characterized by large spaces and finest materials. It consists of a bedroom, a living room and a fitness area with sauna. 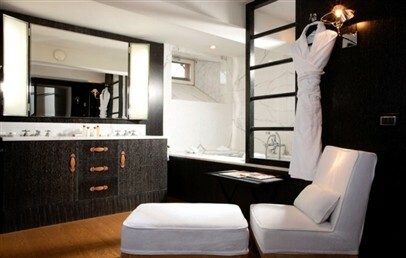 The marble en-suite bathroom provides the Tuscan Soul bath amenities by Salvatore Ferragamo. 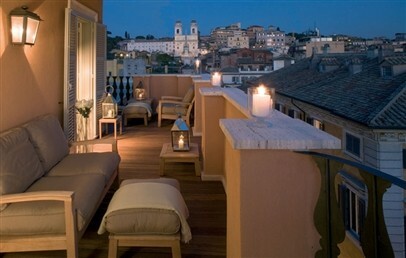 The penthouse has a private terrace with Trinità dei Monti view.